World renowned single and double skis designed for - and raced by winners. Durable, quality paddle and rescue boards that are built to last - as used by the RNLI. Paddles, board bags, fins, straps and spare parts - we got you covered. Gaisford Marine Ltd received a Grant from the Marine Challenge Fund, part of the ERDF’s European Structural and Investment Funds Growth Programme 2014-2020. To embed digital design for manufacture using Rhino 6.0 CAD design software running on enhanced computer hardware. This will enable 21st century design techniques along with laser scanned prototyping to produce more accurate products to meet our customer requirements. 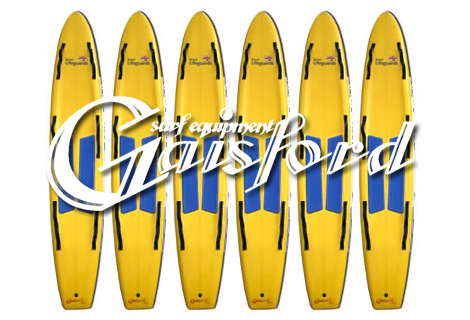 Thanks for visiting Gaisford Surf Equipment - the UK’s leading provider of surf sports and rescue equipment. I’ve been intimately involved in racing, designing and manufacturing some of the world’s finest surf skis, paddle and rescue boards for over 25 years. There’s nothing we’ve built that I haven’t personally tried, tested and refined in some of the most challenging surf conditions. Surf lifesavers & champions worldwide rely on our equipment. Whether racing or working in the cold surf of the Atlantic or heading off for events in warmer climes, you can rely on Gaisford Surf Equipment to get you in pole position.